On Tuesday, the Gang Suppression Unit found an outboard engine at an apartment complex on Mopan Street where members of the PIV gang are known to be living. One person is claiming ownership of the engine but as many as nine have been arrested and charged for handling stolen goods. They are Leon Gray, Kieshayne Young, Ashley Welch, Gregory Knox, Ewin Flowers , Albert Clother, Warren Dominguez and two minors. 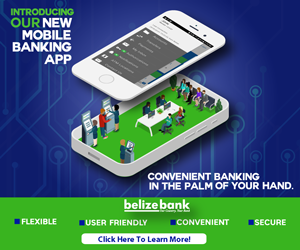 The GSU also found a cache of weapons on Mopan Street and are awaiting the results of fingerprints lifted from the firearms to determine if the further charges will be brought against the men. Meanwhile, three persons, including a woman have been charged with drug trafficking following a search of a house on Gabourel Lane on Wednesday. 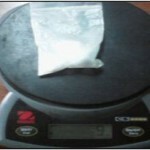 In one of the bedrooms, the GSU found a Zip lock bag with nine grams of cocaine. The three persons present during the search: Wilfred Garbutt, Melisa Armstrong and Alrick Galvez were charged for Possession of a controlled drug with intent to supply. 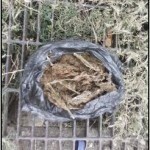 In Hattieville shortly after midday on Wednesday , the GSU caught up with Roger Trapp who was seen disposing of a black plastic bag which contained twelve grams of cannabis. Trapp was charged for possession of a controlled drug. 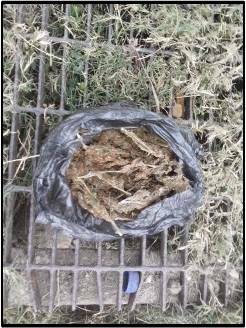 Later on Wednesday, GSU officers conducted a search in a drain on Gibnut Street where they found a bag containing one hundred and eight grams of cannabis beneath an iron pallet. 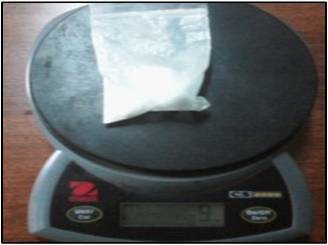 Because it was not found inside the premises, the drug was labeled as found property. Keep charging forward, GSU. Turn the heat up high! Now unu start to arrest all the thieves in the gov. All the ones who have been selling passports go arrest them . Woohoo, go GSU! Make this Christmas season a safe one for our kids and country. Keep up the momentum and the deligent work ladies and gentlemen. We have you back…. Good job…Keep suppressing them hard..
Who raided McAfee’s property today?